John Dewey Academy of Learning (JDAL) is part of the Green Bay School District with a focus on project-based curriculum. We worked with JDAL to update their brand identity through a logo redesign and development of marketing materials. 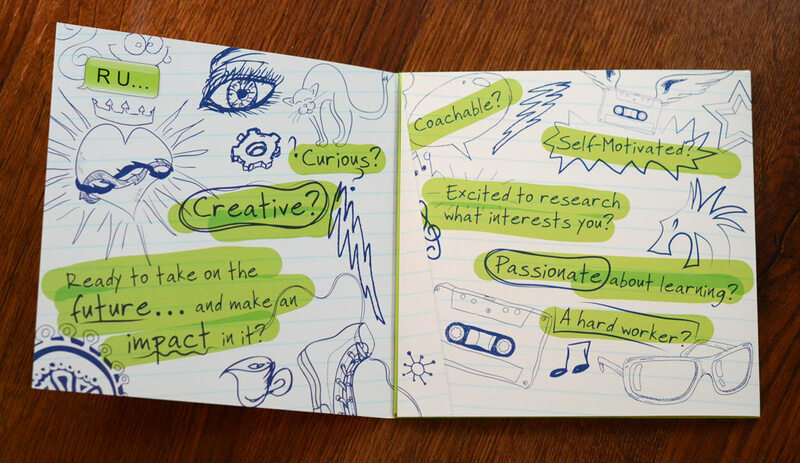 Their student recruitment brochure was designed to appeal to middle and high school students, and can either be handed out at events or mailed. 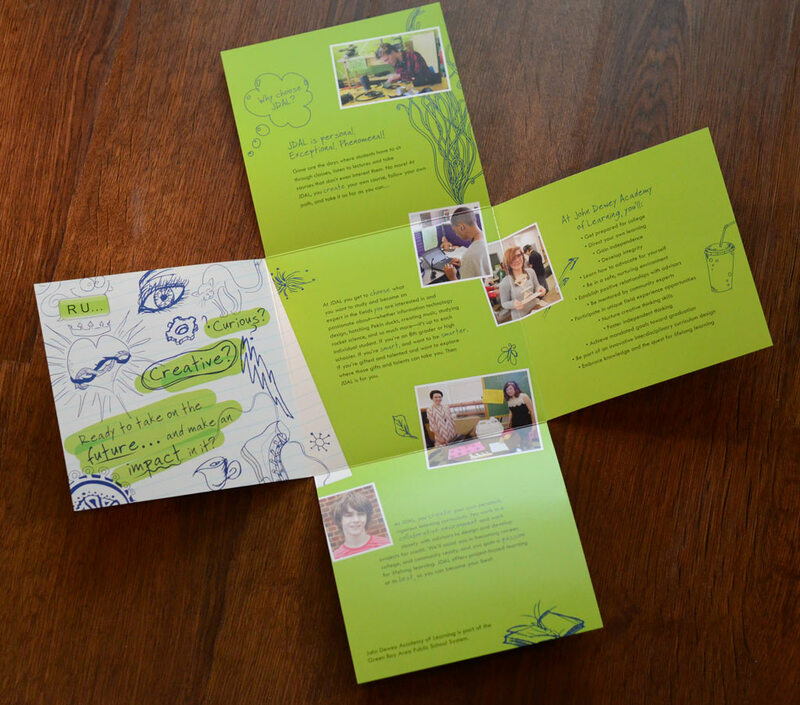 The compact brochure has a unique fold with content on each panel. Print Graphic Design Services: Brochure design, logo design.